This item available by Special Order. 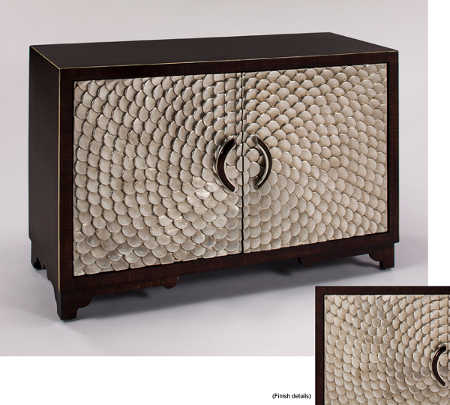 With an Art Deco vibe, this beautiful sideboard cabinet marries 1930's influenced design with modern materials for a truly unique look. Finished in a rich wood grain veneer and metallic painted doors, this substantial piece is a definite statement maker.